"Wareena" is located only 10 minutes off the New England Highway via bitumen road. 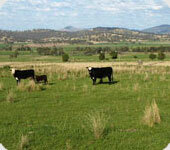 It is a high quality, easily managed property that would suit any agricultural enterprise. Well worth inspection. Native pastures that have been supered and seeded. Some lucerne has been sown. Estimated to fatten 150 steers per annum. Has been carrying in excess of 100 cows and calves. For the past three months Year 9 Farm to Table students have been busy preparing their steer ‘Kenneth’, for the Melbourne Show and now it’s Showtime! Winnie Jones and Mal Douglass of Mt Bellevue, near Myhree first contacted the school in May to set up an association with Rutherlgen High School. On the 21st of September, 11 students from Rutherglen High went to the Royal Melbourne show. On the trip down to Melbourne we went by bus and then train, from there we went shopping and had dinner, to say thankyou to Miss Rae we all put in to buy her a Hawks flag and made her a card. The Beef CRC has welcomed the launch of a new tool which helps beef producers predict the growth rates of their stock, months in advance. The BeefSpecs calculator predicts carcass weight and fat depth for groups of steers. 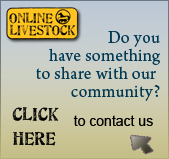 It is designed to take the guesswork out of selecting and managing cattle during a finishing period. Wiltshire Horns have been everywhere, man, and now breeders all around Australia are opening up their studs so that the public can get to know this extraordinary breed, and get to know it in real farming environments in conditions relevant to their region. Windellama (aboriginal name for many winds) is a small ‘country community’ which is fast growing with new subdivisions opening up with many people building and moving into the community to experience a ‘tree change’. Welsh Black cattle - are one of the oldest British breeds. The Welsh Black boasts fast growth in rate of gain and weight for age, long lactation periods in breeding females, vigorous fertile bulls and ideal temperament. Welsh Black beef is the leanest of British beef, at the same time satisfying today’s demand for flavour, texture and marbling. Eating quality is excellent and the added rib depth contributes to a bigger carcase yield.